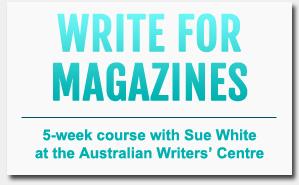 Still writing weekly at The Sydney Morning Herald and The Age newspapers. You’ll mostly find my work in the My Career section (inside Business) where I’m continuing with my monthly Meet the Boss column. I also have a new fortnightly column in My Career called Side Hustle. I’m still writing features here most weeks too – it’s hard for me to keep up with examples but check here for a peek, or follow me on Facebook. My son has is heading towards age five so I’m still ensconced in the family travel writing niche, although am also branching out (again) into more general travel features too. I’ve been writing a lot for Jetstar Magazine, for Family Travel magazine, and have stories coming up in Vacations & Travel and Business Traveller Asia Pacific. Last year we jetted to Malaysia and Singapore, plus recently came back from Bali. You’ll see stories on all of that appearing in my portfolio pages this year. In 2019 we have Europe coming up: stories are currently being pitched, planned and commissioned. Back to the small people: my Facebook community for family travel, Kids Who Travel, is getting bigger by the day. And my Babies Who Travel website, with swags of tips for travel with the under one crowd, is still helping families through their earliest days of family travel. Large and small copywriting projects are offered via my boutique copywriting agency, The Comms Collective. The Comms Collective is an authorised supplier to 56 government agencies (the government parlance is “we are on the panel”), so 2019 will be big. I’m doing a lot of this. 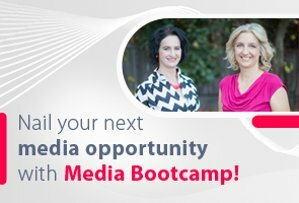 I’ve delivered my tailored group trainings across the country for corporates and government departments. 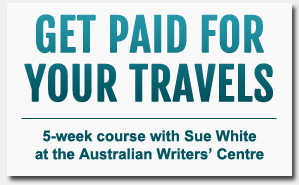 Plus, you’ll find my private mentoring for writers here, and travel writing and feature writing courses via the Australian Writers’ Centre here. I’ve spent a lot of time over the last few years being interviewed, mostly about travel. I’m the travel expert on ABC Evenings with Chris Bath – if you want to catch these chats, I post some of them on my press page.